Les Salons Foundation is a wonderful surprise. 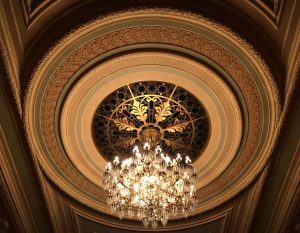 Located in the heart of Geneva, its visitors can uncover a hidden gem of nineteenth century theatrical architecture. The prestige and beauty of the venue enhance each event held there, be it a conference, a classical or contemporary music concert, play, cocktail reception or another event. With over 175 years of history, the former Société genevoise des amis de l’instruction (Genevan Society of Friends of Education) changed its statutes on 22 December 2010 to become the present-day Les Salons Foundation. This transformation, desired by the Board, went hand in hand with its aspiration to professionalise the institution’s operations. Today, the Foundation employs six members of staff who offer quality, personalised service and hospitality. With its willingness to create a unique experience for future visitors, Les Salons Foundation and its staff warmly welcome you to its premises. At the time of the institution’s founding, Geneva was a veritable hotbed of culture and politics. The city saw all manner of circles, clubs, salons and organisations flourish in which ideas, experiences and opinions were exchanged. Whether it was scientific, literary or political knowledge, the profusion of these groups created an environment conducive to education. This led to the first incarnation of the institution: the Société genevoise des amis de l’instruction (or the Genevan Society of Friends of Education in English). Created on 27 September 1842, the Society brought together a dozen members who wished to teach albeit in an apolitical way. This desire came about as each of these members had stood down from the Society of Bergues, another circle in which political discussions had taken precedence over teaching. It was therefore in reaction to this that they created the new Society. It is worth mentioning that from 1840 to 1850, there were mounting political tensions between radicals and conservatives. With the conflict being a significant issue, there was justifiable concern. Nevertheless, these “friends of education” detached themselves from this, as the first article in the recitation section of the Society’s statutes states, “tending to the taste of the beautiful and the elevation of the soul” without concern for politics. The Society’s success was assured in the first years of its establishment. 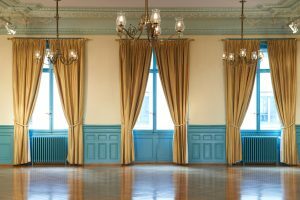 As its membership increased, available venues became scarce or too cramped. In 1874, following several moves, a subscription was opened up to members with the aim of constructing a property. As the property landscape of the time was positive, the project moved forward at speed. The commission was granted to one of the members, the architect Jacques-Elysée Goss, who had just received the Grand Théâtre commission. The property, located on Bartholoni street, was inaugurated on 14 October 1876. 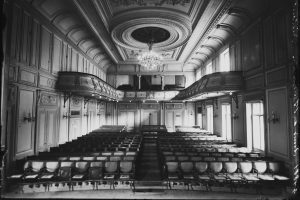 Among its facilities, there were four rooms dedicated to the Society: the ballroom (the theatre) and three salons (one for conversation, one for sections and one for painting). The French expressions “aller aux salons” (“go to the salons”) or “le théâtre les Salons” (“the les Salons theatre”) come from this, as does the current name: la Fondation les Salons (or the “Les Salons Foundation”). Both firmly rooted in Geneva and representative of its cultural life, the property hosted numerous well-known local personalities (Jean-Henri Merle d’Aubigné, Rodolphe Töpffer, Joel Cherbuliez, John Petit-Senn, Paul Chaponnière) who delivered lessons or conferences. Many of its numerous activities were dedicated to the commemoration of events embodying Genevan and national identity. Paradoxically, the initial apolitical outlook was closely associated with a renewed sense of patriotism. The soul of the institution bore the hallmarks of a conservative, rigorous and respectful spirit of tradition, but also embodying an enlightened curiosity connected to the spread of knowledge and an ideal of education. 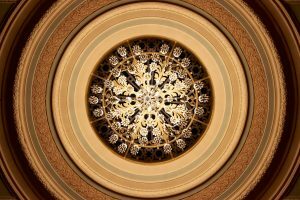 If, in its beginnings, the Society honoured poetry and literature through the art of recitation; then gradually, towards the turn of the nineteenth century, it was the practice of drama that assumed centre stage. The “Arlaud period” (approximately 1895 to 1910) was intense. Georges-Louis Arlaud, holding the positions of president, director and actor, would bring success and popularity to the theatre. 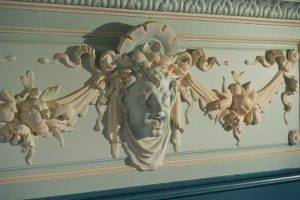 His demanding nature and charisma, along with the fact that the institution held a monopoly on the places dedicated to dramatic art, could only contribute to the success. 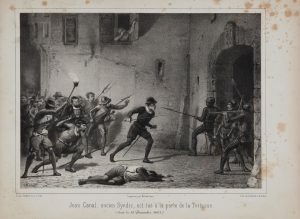 In addition, French-language theatre was undergoing a revolution: a new genre with new texts (which were often translations of non-Francophone authors) was emerging. This genre, referred to at the time as avant-garde, would be widely exploited by Arlaud. Georges Baroz, the director who succeeded Arlaud in 1911, continued the momentum and maintained the excellence of the company’s performances. It was common for the Grand Théâtre to host productions by the Friends of Education company until the 1930s. Theatrical activity had reached its peak, with the company staging six plays in some years! The second half of the twentieth century would prove less active for the Society. The multiplication of culture on offer to Genevans (theatres, cinemas, radio, television, dance clubs etc.) was the main reason for this. The drop in membership was accompanied by a decline in activity. However, one event did mark the Genevan cultural landscape from 1961: the cinéma l’Écran. The premises were hired out to project art-house and avant-garde cinema. Pierre Barde’s sophisticated and demanding programming quickly turned into a loyal audience, something which lasted for over 20 years. Sadly, in 1984, the obsolescence of the equipment led to a halt in the use of the room. The institution’s archives cover eight linear metres of documents housed in sixty protective boxes. The fullness of the documents dating from the nineteenth century is an initial pointer to the richness of the archives: all of the minutes from all of the sections are compiled there, allowing us to immerse ourselves accurately into the history of the Society at the time of its creation. 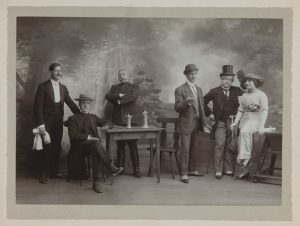 Furthermore, the donation by Etienne Duparc, a comedian under the presidency of Georges-Louis Arlaud, of high-quality photos and posters of shows allows us to imagine a piece of Geneva’s theatrical world at the beginning of the 20th century. COURT Pauline et FLUMET Laurent, Des Amis aux Salons, Aperçu historique, Geneva, 2010. SCHOPFER Fréderic, Société Genevoise des Amis de l’Instruction, Livre du Centenaire 1842-1942, Imprimerie H. Studer, Geneva, 1942. CHERBULIEZ Joël, Genève, ses institutions et ses mœurs, son développement intellectuel et moral, esquisse historique et littéraire, Librairie Cherbuliez, Geneva, 1867. 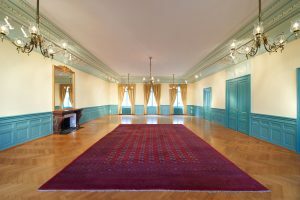 The Les Salons Foundation offers its spaces to hire for all kinds of cultural, corporate and private events. 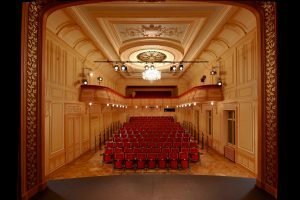 Renovated in 1998, its acoustics are designed for theatre as well as music. 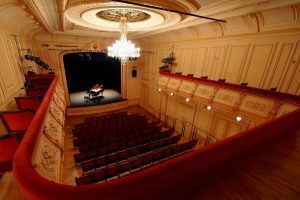 This elegant hall comprises 173 seats distributed as follows: stepped pit (122 seats), gallery and balcony (51 seats). The hall is fitted with a professional sound and lighting desk. A full technical sheet is available for download here. The theatre stage is equipped with nine pipe battens and two fully-automated stage curtains. The stage measures approximately 5.50m by 6.50m (downstage-upstage) and 12.90m (stage left-stage right), with a height ranging between 9m (under perches) and 5m (under coves). 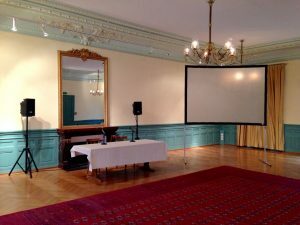 Since September 2018, the hall has been equipped with a professional projector, so it can also accommodate film nights! 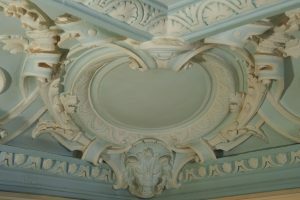 A warm Baroque/Renaissance salon which also offers good acoustics. Its capacity can be adjusted for up to 100 standing or 80 people seated. The Salon’s lighting is also adjustable, and it is possible to install projection or sound equipment. The General Secretary and the Coordinator offer professional and personalised support to make your event a success. A site visit is both encouraged and recommended by appointment. A quote tailored to your event will be offered following initial contact.